T.G.I. SWAG-DAY! 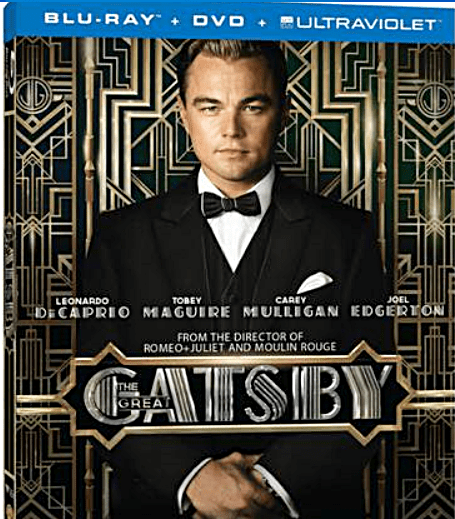 - Win The Great Gatsby Blu-ray Combo Pack From Back2Stonewall.com! Home/Entertainment/T.G.I. SWAG-DAY! – Win The Great Gatsby Blu-ray Combo Pack From Back2Stonewall.com! Back2Stonewall.com in association with Warner Bros. Home entertainment is giving away a copy of “The Great Gatsby” Blu-ray Combo Pack, directed by Oscar® nominee Baz Luhrmann and starring Leonardo DiCaprio! “The Great Gatsby” based on F. Scott Fitzgerald s American literary masterpiece, is the haunting American tale that follows would-be writer Nick Carraway as he leaves the Midwest and comes to New York City in the spring of 1922, an era of loosening morals, glittering jazz and bootleg kings. Chasing his own American Dream, Nick lands next door to a mysterious, party-giving millionaire, Jay Gatsby, and across the bay from his cousin, Daisy, and her philandering, blue-blooded husband, Tom Buchanan. It is thus that Nick is drawn into the captivating world of the super-rich, their illusions, loves and deceits. As Nick bears witness, within and without the world he inhabits, he pens a tale of impossible love, incorruptible dreams and high-octane tragedy, and holds a mirror to our own modern times and struggles. The film stars Leonardo DiCaprio as Jay Gatsby and Tobey Maguire as Nick Carraway, along with Joel Edgerton and Carey Mulligan as Tom and Daisy Buchanan. 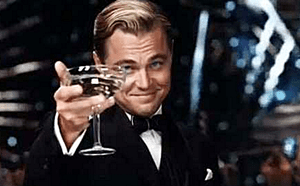 All you have to do is drop me a line at will@back2stonewall.com and we’ll pick one person at random and The Great Gatsby Blu-ray Combo Pack DVD pack can be yours! For those of you who don’t want to take a chance and just have to have this Baz Luhrmann masterpiece. You can PRE-ORDER IT HERE through the Back2Stonewall.com Amazon.com Associate Account and a percentage of the sale will go to help the continuing running of our site.